Imagine an application that would allow you to become aware of all the wildlife around you – not in a general sense, but an app that puts you face to face with individual animals sighted near you, and allows you to follow the very same animals throughout their lifetime. If you could follow a shark as it swam across the Pacific, a polar bear as it meandered the northern ice, a crocodile as it navigated the Okavango – if you could ‘friend’ an animal, would you? This is the vision behind Wild Me, the latest brainchild from EMC Information Architect Jason Holmberg. What we have here is a new form of storytelling, based in scientific data, and it all started over a decade ago with a chance encounter with one of the ocean’s most beautiful creatures, a whale shark. 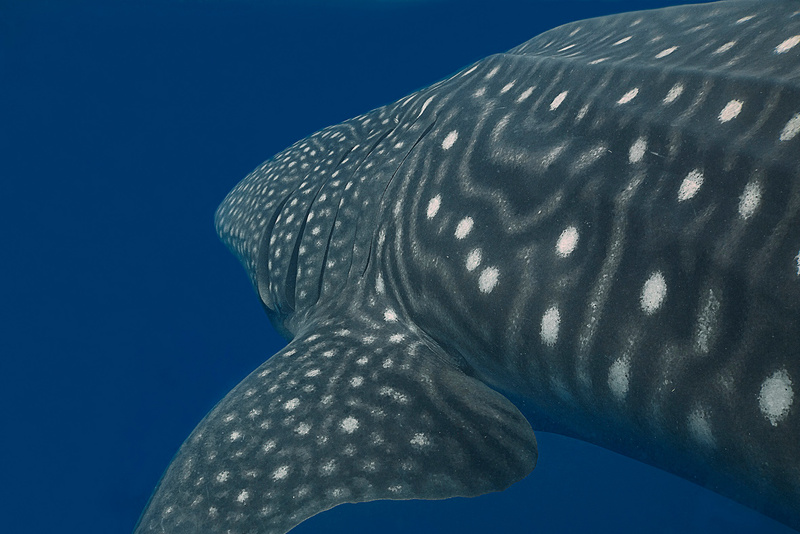 “My interest in whale sharks began when I was living in Egypt back in 2002, and I went diving off the coast of Djibouti near the Seven Brothers Islands,” he says. The divers were not expecting to find whale sharks in the area, but during the seven-day dive, they were met by an eight-foot juvenile. This was not only unique because of the location, but because such small whale sharks are rarely seen in the wild. Later that year, Holmberg returned to the United States, but his captivation with whale sharks returned with him, and he began working on developing an identification system, in hopes that he could match individual shark sightings based on the spot patterns he had observed in Djibouti. “I was certainly not the first to notice the patterns,” Holmberg says. But no system was in place to easily interpret them. The answer quite literally came from the stars, through the rediscovery of an algorithm developed by Princeton University physics professor Edward J. Groth for use in astronomy. The algorithm was designed to map star fields, which the Hubble Space Telescope would photograph following its 1990 launch. “I wish I could take the credit, but it was a colleague, an optical astronomer, who mentioned the algorithm,” Arzoumanian says. It took a few months of tweaking, but the team was able to adapt the triangulation algorithm to map and match sets of white spots on the flanks of bluish whale sharks (just as it had with white stars against the blackness of space). Triangulation … astrophysics algorithms – don’t panic. Let’s break it down, shall we? Wildbook (the software) gets its data (photographs) from users of websites like whaleshark.org, which are just the software’s public face. Let’s say that the images below are different photographs submitted to whaleshark.org. Perhaps the one on the left is a photograph submitted by someone in Mexico, and someone in Florida submitted the one on the right. Once the points are plotted, we can forget about looking at the image in terms of it being a photograph. The algorithm runs through the list of points, and finds every possible triangle that can be made between one spot, and all the other spots in the image – sometimes hundreds of thousands of triangles! By using triangles, they avoid running into problems when photographers take pictures of animals from different distances. This is because of their unique geometric properties. From there, it essentially works like a voting system. Lists of triangles from one set are compared to sets created from other photographs. “Spots that participate in many matching triangles receive many votes and are considered successfully matched across the two images,” Arzoumanian says. Once the pattern-matching system was in place, the team needed data (a lot of data!) to start filling the Wildbook library. Holmberg realized quickly that they couldn’t rely solely on researchers, who have limited funding and time in the field. They needed more sightings, and so turned to the tourism community, and citizen scientists – people like you and me – to contribute photographs. “At first, this was a trickle,” Holmberg says. “But as we’ve done outreach, and with the advent of technology like the GoPro Hero camera, people are getting in the water and seeing whale sharks all over the world.” Wildbook for Whale Sharks now has over 25,000 recorded sightings, which are managed by volunteer scientists like Dr. Alistair Dove, Director of Research and Conservation at Georgia Aquarium. “Citizens can play a key role putting ‘pushpins on the map’ in locations where scientists lack any systematic data,” Dove says. “That's really helpful for filling in the gaps between those locations where whale sharks are reliably seen.” Together with a team of researchers, and with help from the Blue Realm Project, Dove has been using Wildbook to catalogue one of the largest gatherings of whale sharks in the world: the Afuera aggregation in Yucatán, Mexico. “So far we've added over 1,000 individual animals, which would be impossible to track without a tool like this, because not enough of them have distinguishing marks other than their spot patterns,” he says. Since its advent, the software has been modified to catalogue a number of different animals including polar bears and manta rays. Each presents a new set of challenges for the Wildbook team. “As I was designing the various information models, I noticed that when I talk about an individual animal, I do so in terms of a name, photos and behaviours of that animal, as well as things like date, time and location of sightings,” Holmberg says. These animal profiles reminded him of something familiar – individual Facebook profiles. “We’re doing the same thing, right? We talk about where we’ve been, and when we were there, we’re posting photos online, we have names and nicknames for ourselves, we have social associations – just like researchers are tracking with Wildbook,” he says. Why not become as hyper-aware of populations of other species as we are with each other? It was this idea that birthed Wild Me, a non-profit organization, and the concept of Wild Me, the Facebook application. Can we take our social networks beyond a single species? Can these bonds change conservation outcomes and drive education? These are the questions the Wild Me team is looking to answer. The hope is that as people begin to make these connections, they will in turn be inclined to contribute more data, which will only further our understanding of these animals. The whale shark is a 40-foot fish. Only one complete migration route has ever been mapped, and that was only four months long. The animals live 60 to 120 years (we think), and yet, we don’t know where they mate, when they mate – we don’t even know where they give birth. And this is only one species! “It is very easy to view animals as being below us, and yet when we start to understand that we don’t understand them, we see the bigger picture – that ‘they are not brethren, they are not underlings: they are other nations,’” Holmberg says, quoting naturalist Henry Beston. “It’s a daunting project and one which I am utterly intimidated by, but I am determined to try it anyway,” Holmberg says. For more information on Wild Me, click here.